Paytm Jio Offer: Get Rs 30 Off on Monthly Jio Prime Packs!! 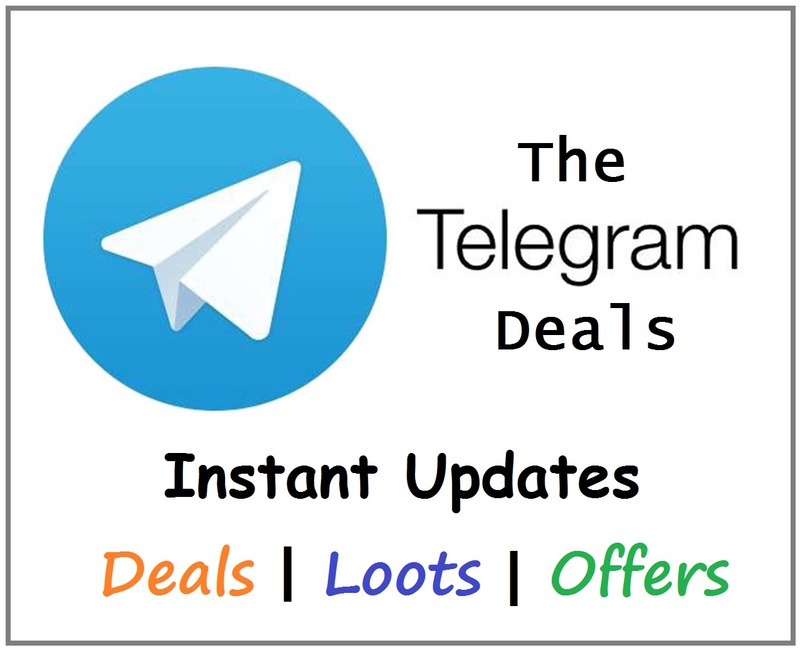 Hello Guys, Today, we have come up with the new Paytm Jio recharge offer. Jio is working with Paytm to give extra discounts to its users. Yeah, you read it right. Now, You can get Flat Rs. 30 Discount on any monthly subscription of Jio Prime offers. Obviously, this is a slap on the face of all other companies which were looting common public blatantly. Now, these companies seem to be pack up their bag and buggage. And obviously, Jio is winning this competition with the swag. 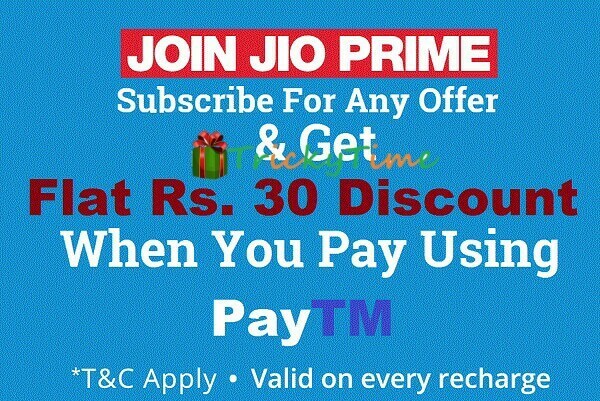 How To Get Rs 30 Discount on Monthly Subscription of Jio Prime Packs? 2. Now, Register/Login in the app. 3. Enter your Jio Number, choose operator as ‘Jio’. 4. Fill your desired Subscription amount. 5. Proceed to Pay this amount. 1. You can use only 1 coupon code per number. However, two coupon codes can be used by a Paytm user in March 2017. 2. Cashback will be credited into your account after a successful transaction. 4. Another Promo code ‘MOVIE4JIO’ can also be used 24 hours after the successful transaction. 5. ‘MOVIE4JIO’ can be used on booking of at least two movie tickets together. This code will give you a discount of Rs. 150 on your booking of movie tickets. And the code can be used only once. And Last thing I would suggest you that you should get this huge discount offer as soon as possible. So, What is your take on this offer? Do share this article with your friends on facebook, twitter, and other social media. If i recharge now pack will activate after 31 march right? Yes it should get activated after 31st March only. Still we need to first confirm with CC.